Whilst Veg on the Edge are continuing to look for opportunities to develop a community food garden in the Shipley area, we are also eager to get our hands dirty and help out with some of the other fantastic growing projects happening locally. 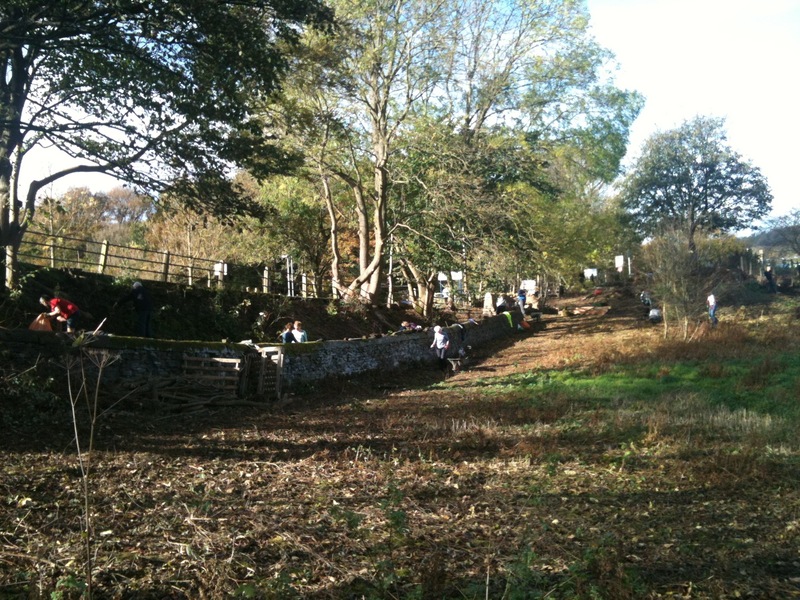 On Saturday 1 November we were pleased to join a working party led by Hirst Wood Regeneration Group (HWRG), who are trying to transform an unloved site next to Hirst Lock into a nature reserve. The event was very well attended, with lots of support from local residents who helped to clear the site in order that more planting can continue. The developing reserve is in a lovely spot close to the canal, and we recommend you take a look at the fantastic work being done by HWRG, or better still get involved! This entry was posted in News and tagged Hirst Lock, Nature Reserve, Shipley, Veg on the Edge, VotE on November 16, 2014 by Veg on the Edge.